Germany-based speciality chemicals firm Lanxess’s Inorganic Pigments business unit is building a 25,000-tonne/year facility for red iron oxide pigments in Ningbo, China. Construction work on the EUR55 million plant is expected to start in the second quarter and production is scheduled by 2015. 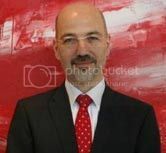 Speaking at a preview, Wolfgang Oehlert, Vice President for the inorganic pigments business unit for Asia Pacific, said that the new plant will add on to the company’s current capacity of 40,000 tonnes at its Shanghai facility. “We export around 50-60% of our output from our Shanghai facility that makes yellow and black pigments but the Ningbo plant will cater solely to the domestic market.” He said that the Chinese market is growing, especially with urbanisation and the mobility mega trends that will require high quality pigments. To be marketed under the Bayferrox and Colortherm brands, the yellowish red pigments will be targeted at the paints, coatings, construction and plastics industries. Lanxess also operates pigment plants in Germany and Brazil and together with the Shanghai facility has a total capacity of 350,000 tonnes/year currently.